Due to the restrictions of the Schell-Plan, a standard 4.5 tons lorry was developed by Henschel, Magirus and Saurer beginning in 1939. It was made in small numbers beginning in 1941. Outwardly, they looked different according to their manufacturer. 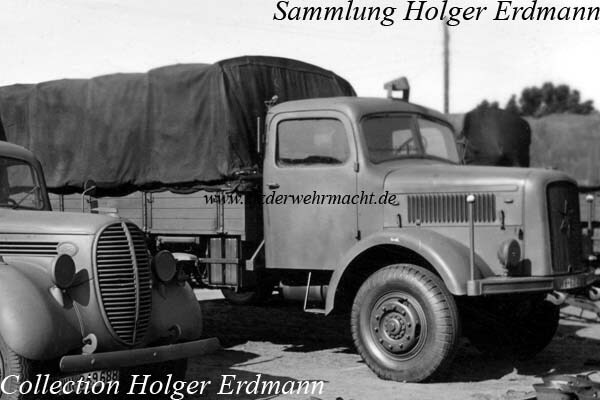 The Henschel 4.5 tons lorry was named HGS 4500 resp. Merkur 4500 for the standard model and HGA 4500 resp. Mars 4500 for the all wheel driven model. The shown vehicle is an all wheel driven Henschel Mars 4500.